St. Brigid’s Secondary School has a long tradition and reputation for school basketball. We are currently playing in Senior A, Cadet A and second year and first year A dimensions. Down through the years St. Brigid’s Secondary School, Killarney have been very successful at both Kerry and National Levels. 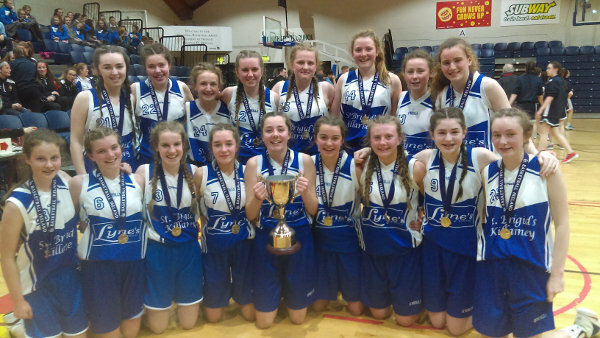 Pictured above are the St. Brigid's Presentation Secondary School Killarney Junior A basketball team, who won the All Ireland final on May 2nd, 2017 in the National Arena in Tallaght. They played Portlaoise in the semi-final and won 42-38. They played Malahide in the final and won 37-27. A great success for a great team of girls! In April, the first years made it to the basketball semi finals in the A category for Schools Basketball Ireland League. They played very well in the regional final, coming second. In 2008 we were 1st Year A All-Ireland winners and Kerry League and semi finalists of the All-Ireland at Cadet Level. In 2009 we were 2nd Year Kerry League winners and Senior A semi finalists and Cup Quarter finalists. 2010 looks very promising so far as we are competing in the semi finals of the Kerry League and will progress to the play offs of the All-Ireland Senior A division. 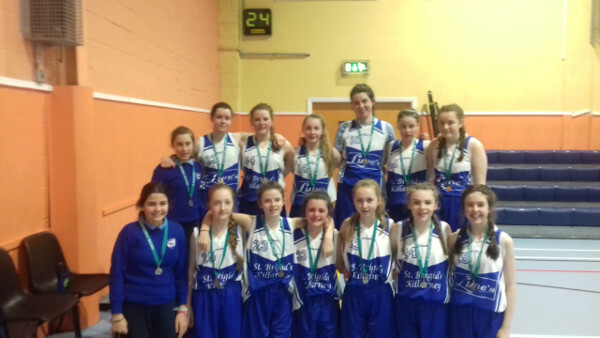 1st and 2nd years will compete after Christmas so the future looks very bright for the basketball teams in St. Brigids.